There are some people who choose to rent a car when they arrive at the airport and drive it to their port of call. This is fine for some, but then they will need to deal with the parking garage and paying those high fees for storing the car. There’s always the chance that the rental car gets damaged or even stolen while in the facility. That equates to higher insurance premiums for the renter, which is certainly not something anyone needs. It’s actually more cost-effective to hire a limo company to get you to and from the seaport. Luxury Transportation Group USA offers cruise limos for local ports of call. In the best-case scenario, traveling with little ones can be quite the ordeal. When they are looking forward to a fantastic vacation, they can be very antsy. Of course, there are always all of the extra things that must be brought wherever the family goes. Items like diaper satchels, umbrella strollers, and backpacks of toys for the older children. All of these things will need to be carried from the car to the port. That can be troublesome. With an airport to seaport limo, you won’t need to carry the luggage far. 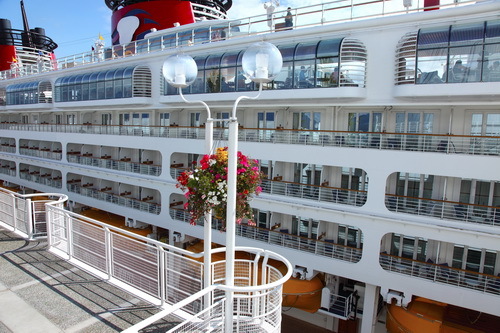 Luxury Transportation Group USA provides door to door service for cruise ship vacationers. Luxury Transportation Group USA is the leading company for cruise ship limousines in Port Canaveral, Tampa and Miami. Their drivers are professionals and take their jobs seriously. Call 407-476-0429 to reserve your cruise ship transportation today.